Ahhh...Kevlar is indestructible, after all-they make bullet proof vests from it, right? 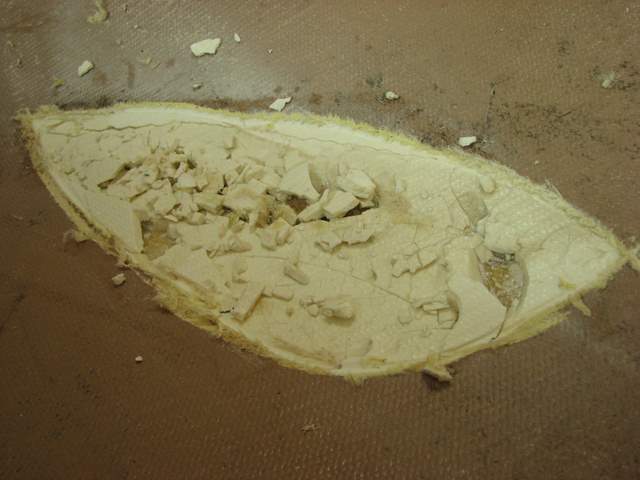 A word to the wise, do not ever treat your Kevlar canoe as indestructible. It is destructible. Kevlar is mostly used to enable canoe builders to make lightweight canoes that are still adequately strong. Emphasis on lightweight. There is only one way to make a lightweight anything, and that is to give up structure. When you give up structure, you give up strength and long term durability. 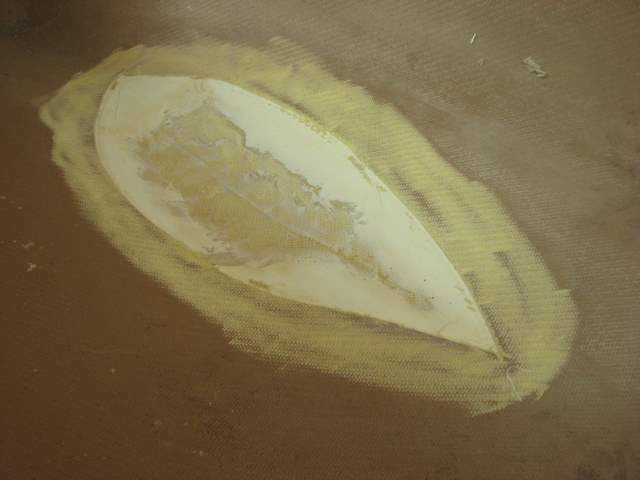 A canoe hull has to survive many kinds of demands upon its structure, one of those demands is impact. There are two ways to survive impact: one is to absorb it, the other is to resist it. The trouble with resisting it, is that once you reach the point of structural failure, it fail. Case in point. Evergreen canoes make a pretty nice Kevlar canoe. The hull is fair, lightweight, and the trim is attractive. These are nice canoes for average use, but not hard use. 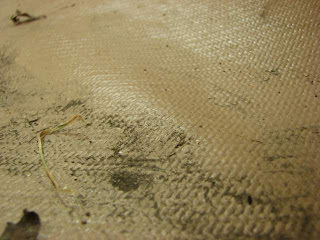 The bottoms of the canoes are a sandwich composite of fabric, filler, and fabric. 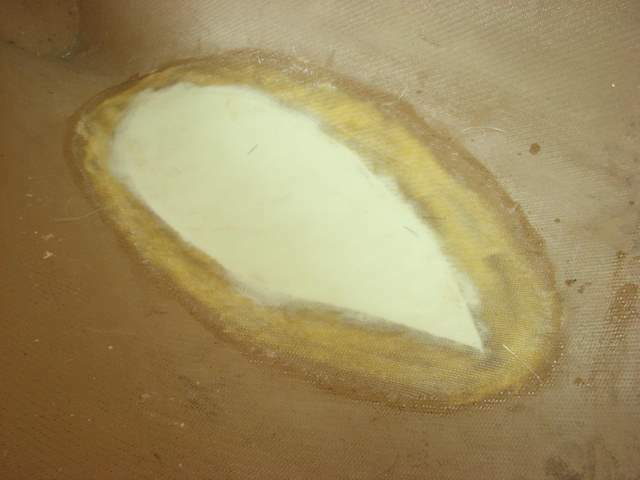 The filler appears to be a matrix of epoxy and microballoons that is applied over the canoe bottom. Most of the time this solution works well, but if you take a hit the filler can crumble causing the whole structure to fail. Once I had to replace the entire bottom of one of these canoes due to accumulated impact failure, and the canoe was only one season old! This impact illustrates the situation, and this is not as bad as that. You can see the bubble where the failure is. 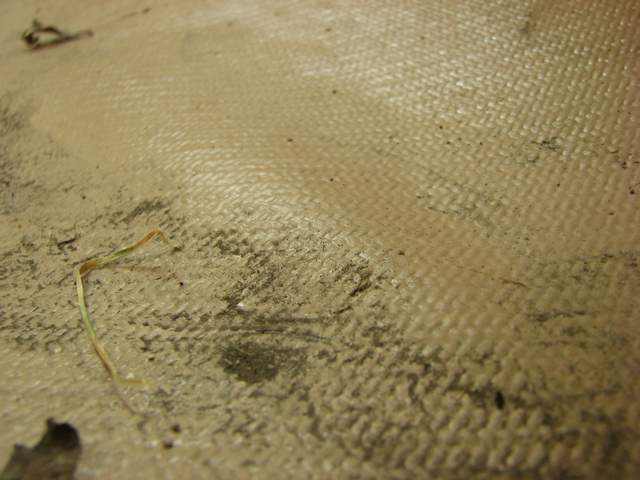 Remove the inner fabric and you can see this. ...and apply new filler and fiberglass over. I'll have to do the outside as well.